Here are the six best cordless hair clippers. We cover a brief description of each clipper, plus give you some pros and cons we found. Your list is in order of customer rating, ending with the highest rated cordless hair clippers. 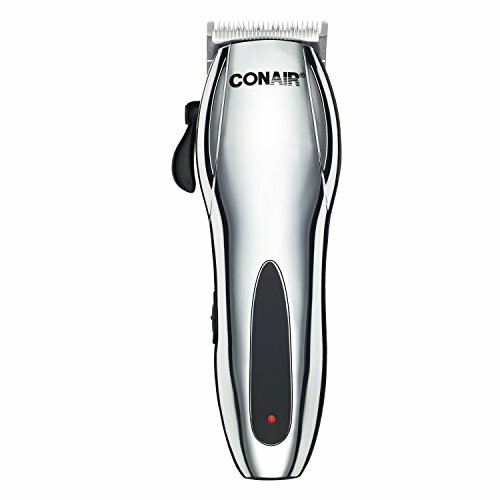 The first entry for the best cordless hair clippers is by Conair. These clippers can also be used with the supplied cord. There are assorted combs to help you get that perfect cut or trim every time. While having the cordless option is useful, being able to use electric with the supplied cord is a nice extra feature for this model. The head is full-size five different taper positions matched with 55 precise cutting settings. The Conair Cord/Cordless Hair Clipper has an AC/DC adapter to fast charge the rechargeable battery. There can be a problem maintaining a charge in the battery. Conair will replace defective batteries if this happens. Wet and Dry: No, although the head can be removed for cleaning. This is a useful choice for novice hair trimmers to skilled professionals. 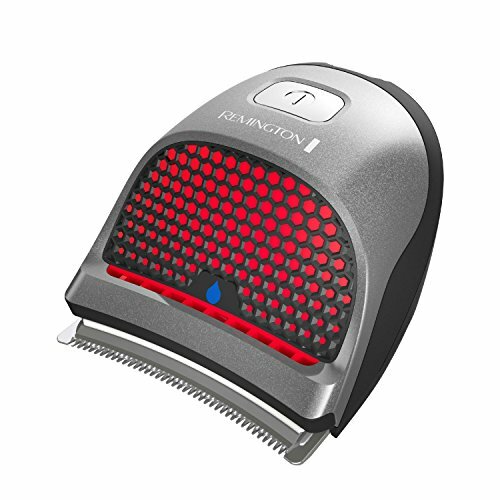 This is a great hair clipper for trimming jobs that take more time since it plugs in as well. 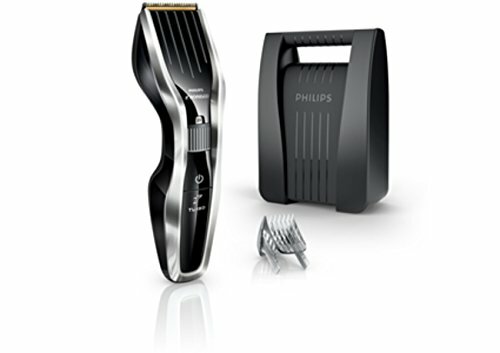 Philips Norelco makes a number of specialized grooming products like hair clippers. This is their highest rated cordless model. It has 23 different length settings and trimmer tools to handle almost any hair trimming job. The cutting system has self-sharpening Titanium blades that you can easily wash to keep them clean. You can get two hours of cutting after about one hour of time on the charger. These clippers use Philips Norelco’s DualCut technology™ to cut twice as fast as comparable clippers. The double blade technology makes the cutting faster, but when something goes wrong with the system, it requires returning the whole cutter for repair. Guide combs: One comb that can be used with 24 guide settings. Wet and Dry: Yes, can cut damp hair. Beginners or anyone who wants to sculpt their own hair will appreciate the diverse number of ways these clippers can be used. Wahl makes a full line of professional hair trimming tools. This is one of the best cordless hair clippers on your list. 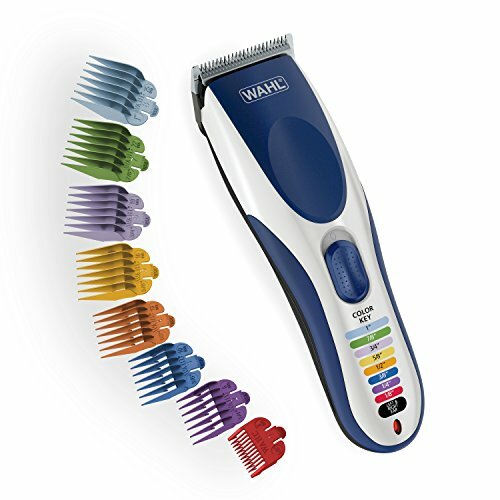 One nice feature is the color-coded combs for men, women, and even kids. This choice on your list of the best cordless hair clippers work well on a wide range of hairstyles, including beards and mustaches. You can even safely trim baby hair with these clippers. The stainless steel blades provide a precision cut, plus they are extremely durable. You can remove the blades on the Wahl trimmers to clean them in a snap. While these are excellent trimmers, they are also relatively expensive compared to other clippers. Wet and Dry: No, not recommended to cut wet hair. Men, women, kids and even babies can get a trim using this choice on your list of the best cordless hair clippers. These are especially useful for anyone who cuts hair for a living. Want to be ready if a customer asks for a full shave? Say no more! Here are our options for head shavers that top the market this year! The Remington HC4250 is unique because it will fit in the palm of your hand. These are excellent clippers for small jobs like beards and mustaches. You can set the clipper guard for nine different lengths, so hair isn’t a problem either. These are small enough to be a great travel option. You can get 40 minutes of clipping time out of every half an hour charge. The cutting surface is an extra wide blade that is curved for fine detail work. There are only a limited number of comb lengths, so these clippers aren’t the best if you want to do longer cuts. These are excellent clippers for travel. They are good for beards and mustaches since they are easier to handle than some long-handled clippers. 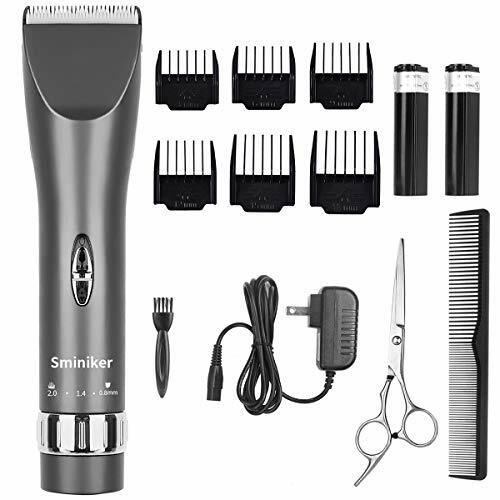 The next set of hair clippers is by Sminiker. They have six cutting combs, and include two batteries. This is a nice set of the best cordless hair clippers for casual trimming. 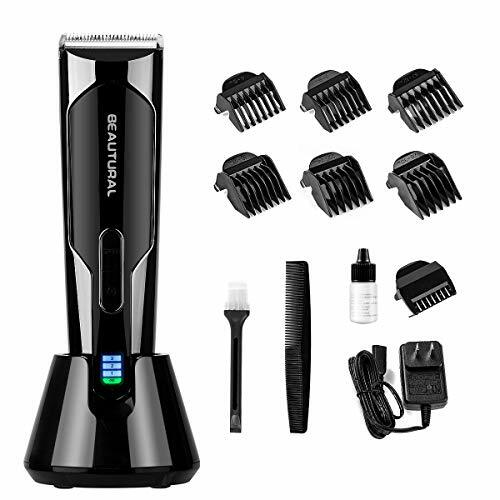 Very affordable price for a multipurpose hair clipper. AC-DC power adapter means you can use these trimmers plugged in as well. The cutting blade is a little wider than some models, so you can tackle larger jobs in less time. There weren’t as many trimmer choices with this model, so the length of cutting options is slightly limited. All types of hair trimming needs, including beard sculpting. This is a great option for casual users who need to be budget conscious. Recharger kit with two rechargeable batteries. The final choice on your list of the best cordless hair clippers earned nearly a perfect customer rating. Beautural makes a quality clipper, specially designed for professional hair stylists. These are a very versatile set of cordless hair clippers. You can sculpt a number of different hairstyles, plus trim beards and mustaches with ease. They are the quietest hair clippers that made our list. These are a somewhat expensive model of hair clippers. Novice hair trimmers, all the way up to the best professional hair cutters. These are the pinnacle on your list of the best cordless hair clippers. These are the six best cordless hair clippers. Each received excellent customer reviews. They have a few different features that you may find better suited for your trimming needs. If you’ve used any of these clippers, tell us what you think of them. In addition, if you feel we missed a pair of clippers that should be on this list, let us hear about those as well.